Robo War - Aliens invasion is threatening our planet. Now the fate of our world is in your hands. Steer giant robo, fight the invaders, and bring peace back to Earth in this non stop mobile action game, RoboWar! Tap as you take on the enemies and let your Robo perform epic moves and super combos. Fill up your power bar to unleash special attacks in combat! 30+ Robot is waiting for you. Take control of the giant robos and master their special skill. Each Robo have special ability that different from the other. Choose the one that suit your fighting style well. Get high score and compare your score with friends, or with other player from all around the world. No Internet connection, No Problem! You can play RoboWar anywhere, anyplace. You also can enjoy online mode for Ranking. The game is free to play, however some in-game items will be able to purchase. 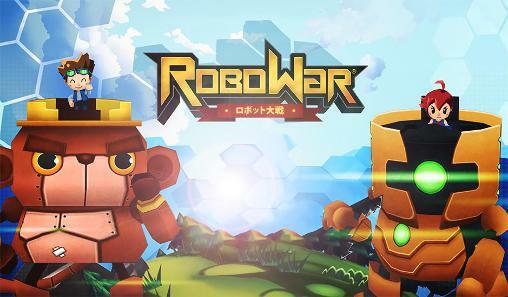 Robo War: install APK and play the game.